Net neutrality started on Friday. A federal judge on Thursday rejected cable and phone companies' attempts to stop net neutrality in its tracks. That means the FCC's plan for new Internet rules go into effect as planned. What changed Friday? The FCC will be able to assert extra authority over the Internet to establish net neutrality. 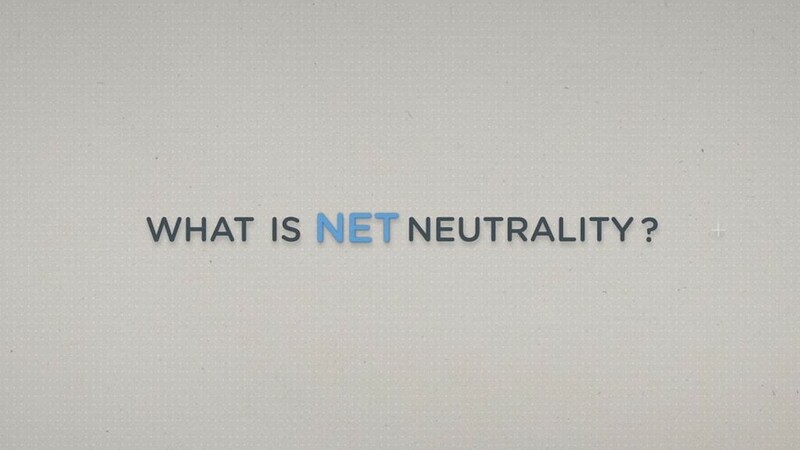 What is net neutrality? It's like equal opportunity for Internet speeds and access to websites: no unfair fast or slow lanes, and no blocking of anything that's legal on your phone, computer or tablet. Isn't that what exists today? For the most part. In reality, the world won't look much different on Friday. Netflix won't suddenly stream any faster for you. AT&T (T) and Comcast (CMCSA) won't abruptly stop laying down high-speed fiber cables and investing in their networks as retaliation. But the net neutrality rules mean Verizon can't block Google Wallet on your smartphone, like it did in 2011. Your phone carrier can't block tethering apps, which turn your phone into an Internet hotspot for your laptop or tablet. AT&T can't block video chatting apps like FaceTime or Google Hangouts. And Comcast can't slow down file-sharing websites, like it did to BitTorrent a few years ago. Who supports net neutrality? AOL (AOL), Facebook (FB), Netflix (NFLX), Twitter (TWTR), Vimeo and every other major Internet company are in favor of the FCC's new rules. They create the content you read and watch online, and they don't want to face discrimination by network owners who can threaten to charge higher fees or slow them down. Who is against it? AT&T, Comcast, Time Warner Cable (TWC), Verizon (VZ) and other Internet service providers don't want additional rules. They believe the FCC's existing rules are sufficient to support net neutrality. Their big gripe with the FCC is that the agency will regulate Internet providers by scooping them up under Title II of the 1934 Telecommunications Act, a specific set of regulations that apply to phone companies. Telecoms say the rules don't match the services they provide. They don't trust the FCC's promise that it will apply only a tiny fraction of those rules. So net neutrality is here to stay? Not necessarily. A consortium of telecom companies, including AT&T, Verizon and Comcast, are suing the government to overturn the FCC's new rules. All the D.C. circuit court did this week was to reject the telecom companies' attempt to stay the net neutrality rules. Essentially, the federal judge just said, "I'm not making a ruling on whether or not the FCC's new rules are legal -- just that they're not completely crazy." A fuller hearing is scheduled for later this year, and a judge could still strike down the net neutrality rules. Republicans in Congress are also fighting against net neutrality. A House panel this week appended language that would strike down net neutrality to a crucial spending bill. But killing net neutrality will be trickier in the Senate, and President Obama would likely reject any legislation that overturns the FCC's rules.